Be transported to the English Countryside for this teatime meal in the Guest Cottage, a charming, intimate space adjacent to Lyndhurst mansion. 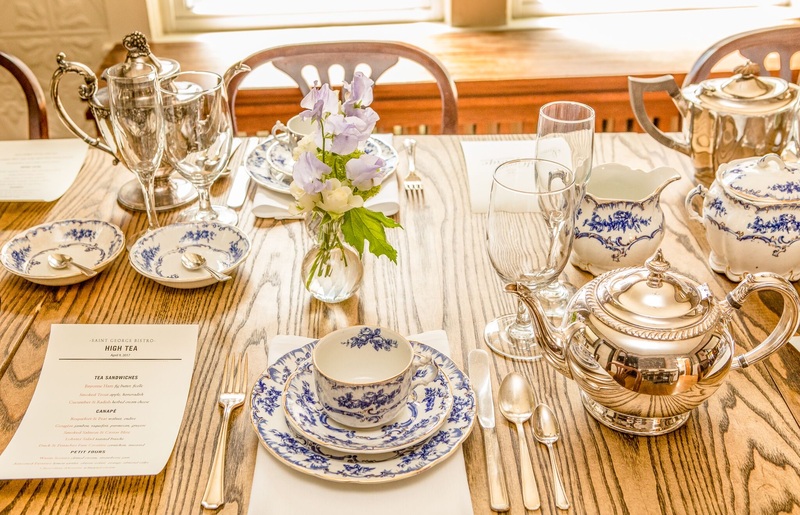 The room will be decorated with flowers, fine china, and silver teapots from Seasons On The Hudson. You will be greeted with a glass of sparkling wine courtesy of Wine Sense. The sumptuous menu will include tea sandwiches, canapés, dessert and Teagevity tea, courtesy of Saint George Bistro. 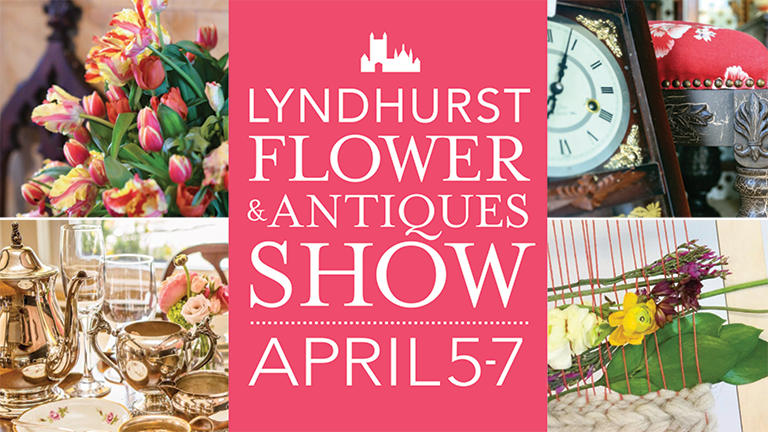 $150 includes food, a glass of sparkling wine, tea, and gratuity, as well as entry to the Lyndhurst Flower Show. Guests will take home a lovely individual arrangement by Seasons On The Hudson. $75 of the ticket is a donation to the Lyndhurst Rose Garden. Guests will be given complimentary passes to the Flower Show and Antiques Show to enjoy after their meal. Please allow at least 3 hours for the entire experience (tea and flower show). We recommend enjoying your tea before the Flower Show, so plan accordingly! New! Private Tour Option: Guests selecting a 4 pm reservation will receive a private tour of the Flower Show in the mansion. Accessibility: Please note that as a historic site, we do not have elevators. Attendance to this event requires ascending and descending a flight of stairs. Saint George is a New-French Bistro offering reworked classics, local seafood, fine meats, seasonal veggies, and French wine. Seasons on the Hudson, located at 45 Main Street in Irvington, is renowned for its exquisite flowers and their beautiful wedding and special event decor. About Wine Sense: "In January of 2015, I wanted to have a different conversation about wine. Enjoying food and wine with interesting, engaging people can be one of the most enjoyable ways to spend an evening (or a Summer afternoon) yet, wine tastings and wine dinners are often completely one-sided affairs. With a nod to the 19th Century Parisian and Viennese salons, I created Wine Sense. There is wine and there is dinner, but it is not a wine dinner. It is a conversation, built around a predetermined topic; it is a biweekly dinner party to make strangers learn to become friends. It is an experiment in community that keeps all the best bits - wine, stories, good food, science, friendship, history, spontaneity. ...and it is a success" - Jeffrey Wooddy, General Manager of Rochambeau Wines & Liquors and creator of Wine Sense 7 p.m. every other Thursday at Saint George Bistro 155 Southside Avenue Hastings on Hudson. Email WineSenseRivertowns@gmail.com to be included."